Caption_Victory by unanimous decision. New York September 2nd 1977. 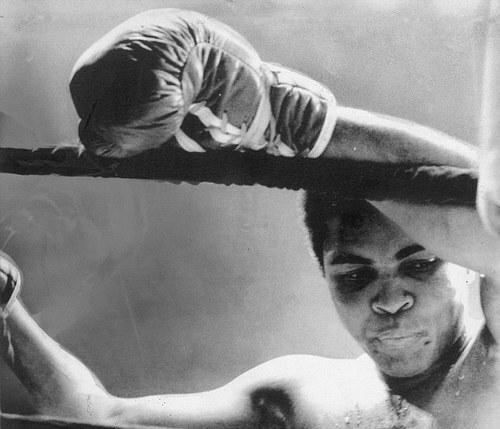 Muhammad Ali on the ropes. Ali succesfully defends his Heavyweight Champions Belt against Earnie Shavers.